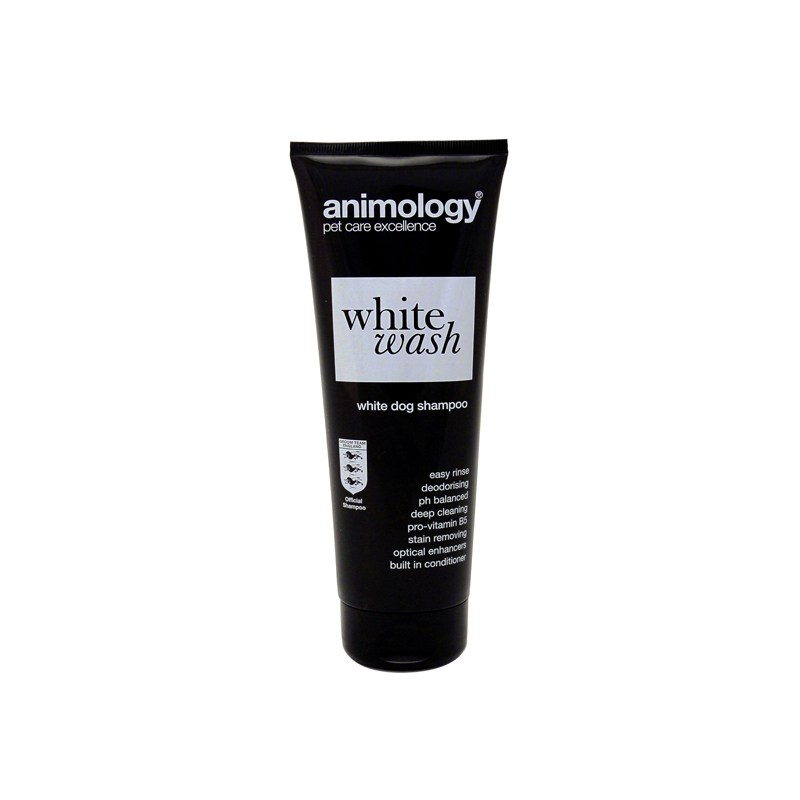 Animology White Wash dog shampoo has been specially formulated to be suitable for all types of white dog hair. With built in optical whitening enhancers Animology White Wash delivers world class, dazzling white results. It has a mild yet deep cleaning action that removes dirt, odour and yellow staining without stripping the coat of its essential oils. This shampoo has Animology ‘EASY RINSE' technology that keeps washing time to a minimum and built in Conditioners and Pro-Vitamin B5 that help improve the health, strength and condition of the coat. Animology White Wash is infused with our ‘Signature' scent that ensures all Animology clean dogs look, feel and smell simply wonderful. Wet dog with warm water, rub in from the neck down, for best results leave lather on coat for approximately 5 minutes then rinse thoroughly with clean warm water (Repeat if necessary). Dry with a towel or hair dryer. Avoid contact with eyes, ears, nose and other sensitive areas. If this occurs rinse with water.